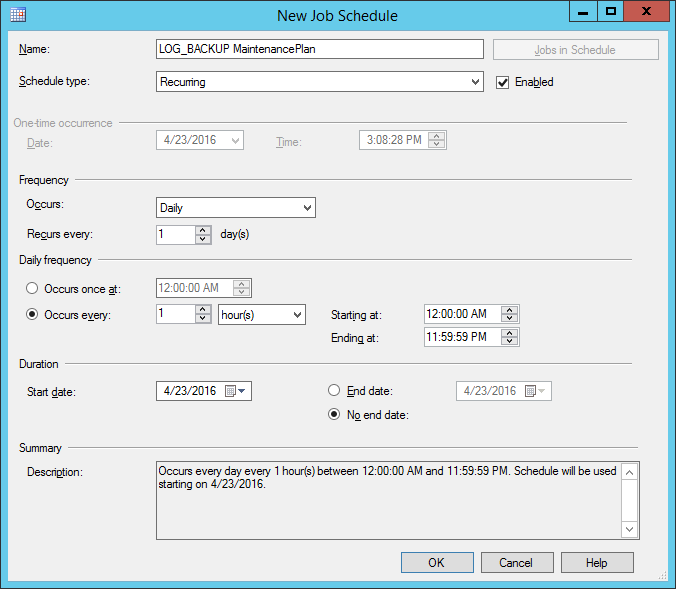 How to create LOG_BACKUP Maintenance Plan in SQL Server? How to restore LOG_BACKUP that have already taken via Maintenance Plan? 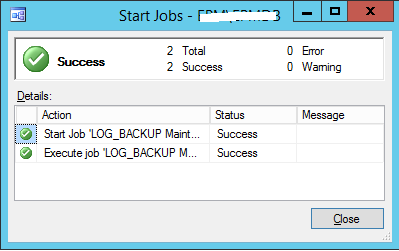 Backup Log is working with Full or bulk-logged recovery models it’s not working with simple recovery model. You must have a full database backup before performing a Backup Log to avoid this error: BACKUP LOG cannot be performed because there is no current database backup. To create and manage Maintenance Plans, the current account should have “sysadmin” fixed server role. “db_owner” and “db_backupoperator” fixed database roles. 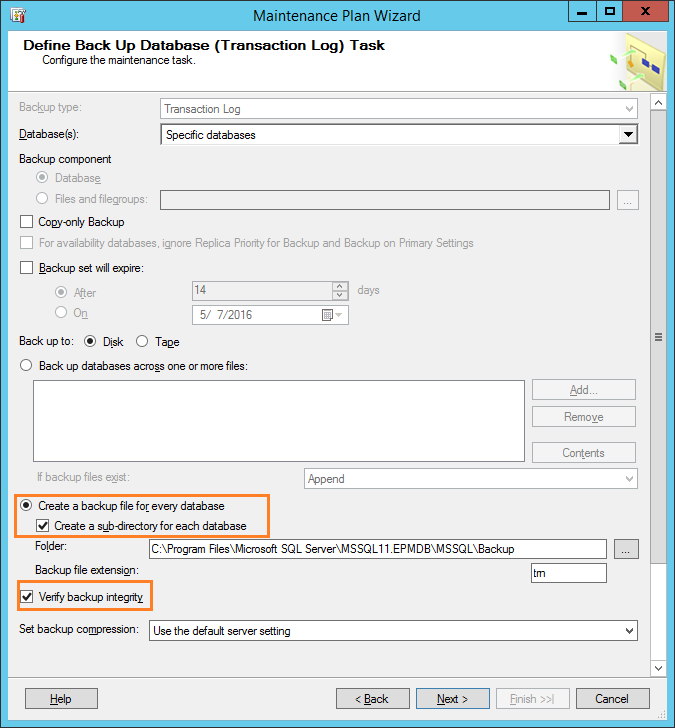 Creating a LOG_BACKUP Maintenance Plan in SQL Server. From Object Explorer > Management > Maintenance Plan Wizard. Specify a meaning name > Click Change to Set Schedule. I recommend building a frequently schedule based on your requirement > OK. The Schedule has been assigned to the maintenance plan adequately > Next. 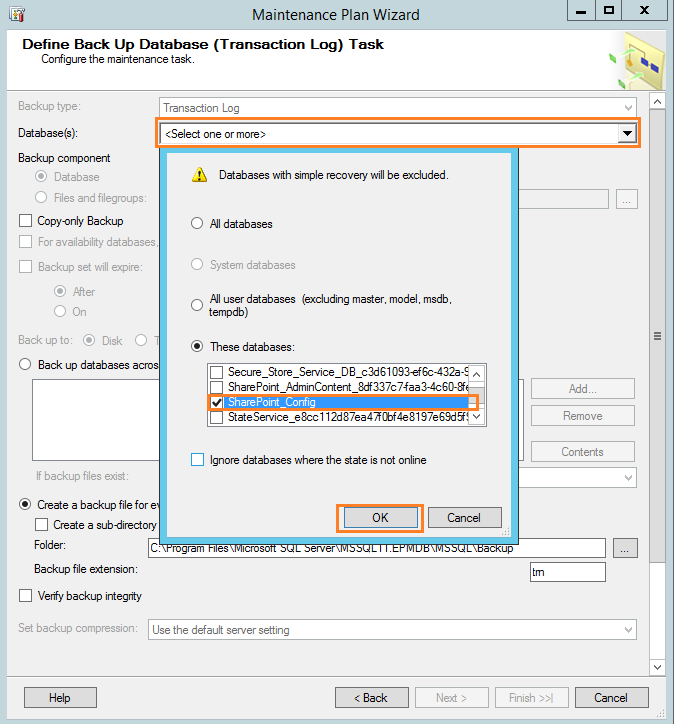 In Maintenance Tasks > Select Back up database Transaction log > Next. In the case of selecting more task, you could be able to specify their order here > Next. Define backup database task by choosing all database or a specific database. The folder that should contain the automatically created database files. The backup files extension. The default is .trn. Check verify the backup integrity to make sure the backup has been completed successfuly and all volumes are readable. Click Finish to complete the maintenance plan wizard. Ensure the maintenance plan is created successfully > Close. Go back to Management section to ensure that the Maintenance plan has been created. Again, Go back to SQL Server Agent > Jobs > Check the job connected to the maintenance plan. To test the Maintenance Plan > Right click on Job and Start > The job should be now started and completed successfully. Go to the backup path where the backup log has been created successfully. The name of the database to which the transaction log will be implemented. The backup device where the transaction log backup will be restored from. Where “database_name” is the name of the database and “” is the name of the device that contains the log backup that is being restored. 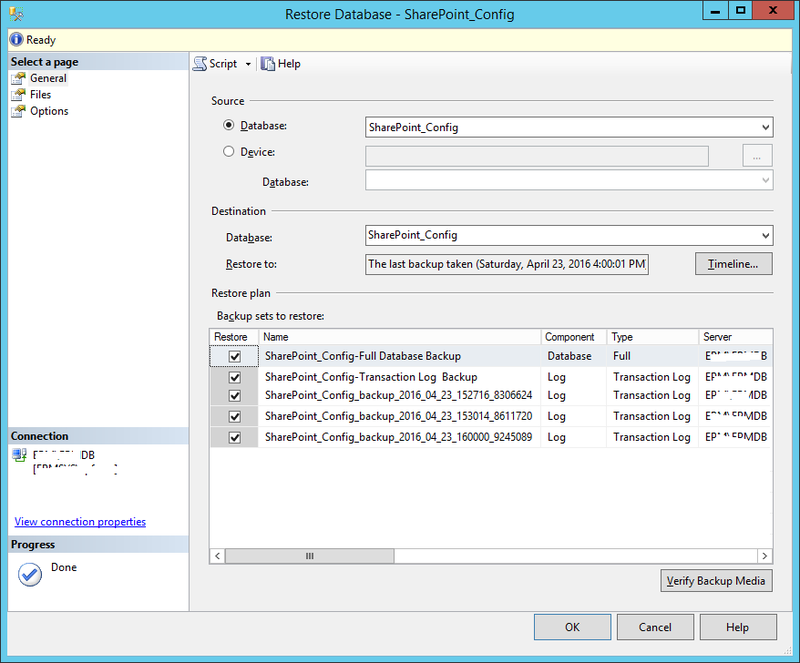 Example: Restoring Multiple transaction log backups using SSMS. How to Shrink a transaction log file via a Maintenance Plan in SQL Server. SQL Server 2016: Create Log Backup Maintenance Plan.